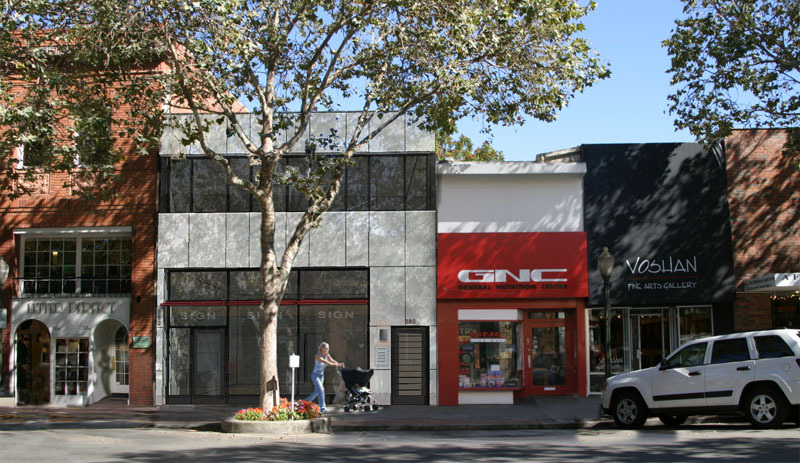 This modern new commercial infill building enlivens the streetscape of University Avenue in downtown Palo Alto. The playful use of clear glass contrasts with a translucent interlayer glass with a decorative film, providing attractive daylighting throughout the space. The design maximizes the usability of the allowed space, creating a spacious retail area on the ground floor and airy offices with a private rooftop second floor.